The golf towel is versatile and useful, and you don’t want to go out on the golf course without one. Since you have bothered to click on this article, we are going to assume that you want the best and most suitable towel that you can get rather than going for just any towel and not caring too much how it impacts your game. We will help you pick the right towel by giving you information on how to sort the bad from the good, and we will even show you some of the best towels on the market today that even professional golfers use when they play. The right equipment always has an impact on your game, no matter how insignificant that equipment may seem. 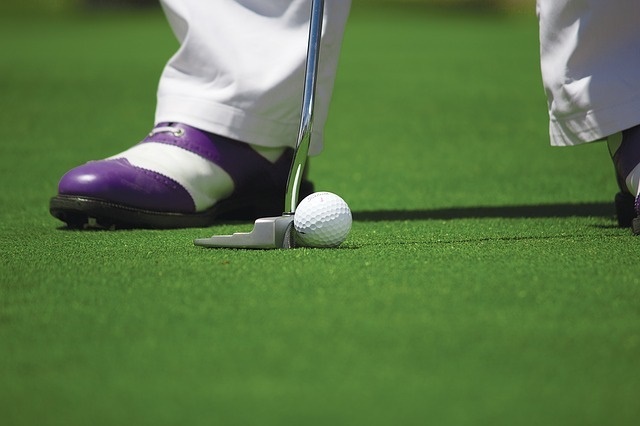 A golf towel is an essential part of a golfer’s kit, as it serves a variety of purposes. Your towel can keep your face dry or be used to wipe down your hands when they get sweaty to improve your grip. It can also be used to wrap around the handle of the golf club for a better grip. You can use towels to clean off your equipment or clean up spills on your golf bag as well. This multi-purpose tool is one of the most important pieces of equipment you can take with you out on the course. Having the right kind of towel means that you will be able to depend on it for these various tasks and not have to worry that it would scratch your equipment or become so soaked with water that it is no longer useful for drying. The best kinds of golf towels will be reliable like an old friend and be something that you can count on when you need it. Finding the right towel isn’t just about looking for quality, though. You also need to consider how it meets your needs through the various features it has to offer, and we are going to help you find that. Now that you have a better idea of what makes the best golf towel, let’s look at some of the top options for you available these days. We chose these five towels for their quality, functionality and value. 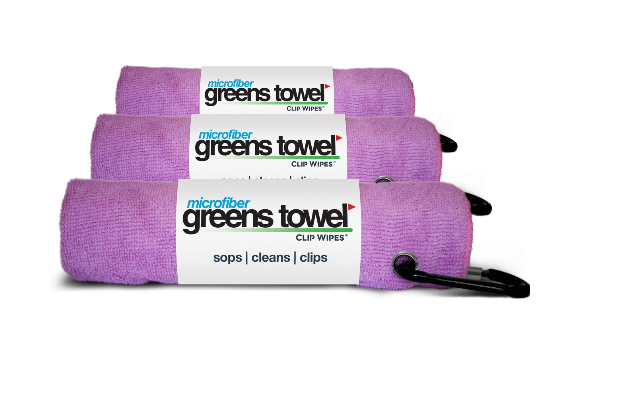 These are some of the best microfiber towels you can get. 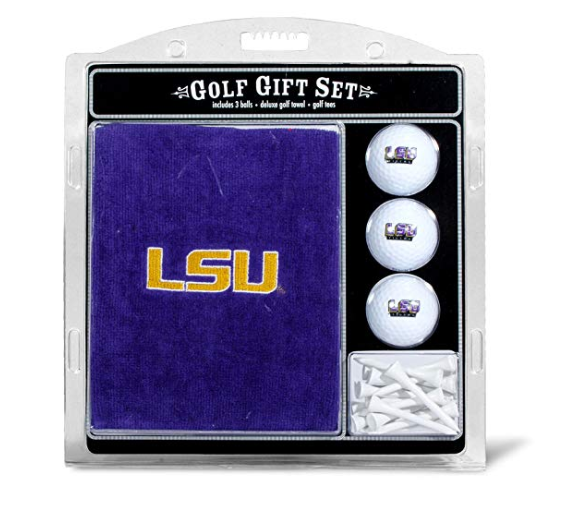 They are absorbent and will not scratch your expensive golfing equipment. They also attract dirt like a magnet, helping you clean quickly and efficiently every time. On top of all that, the price is pretty great too, and you get three towels for under $15 at most retailers. The only real problem with this towel is how poorly it handles being cleaned in a washing machine. It is better to hand wash it, as machines can really deteriorate it after successive washes, so be careful how you care for it. Great for getting rid of dirt. Priced so that everyone can afford it. Not too durable once washed. These towels from Team Golf are embroidered with the logos of different sports teams, which is what makes them so popular. You can support your favorite team with your towel. They aren’t just pretty to look at, though. Team Golf has made some absorbant towels that hold up well to repeated uses and washing and that are a decent value. They are more expensive than most golf towels, even the good quality ones, but that’s because you are paying extra for the team logo and design. You’ll have to decide if that is worth the extra cost to you. Attractive design that incorporates sport team logos. 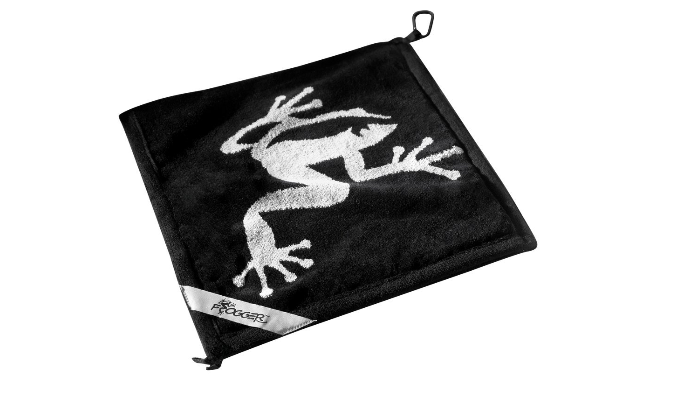 With Frogg Toggs towels, you get a different kind of athletic towel. It is designed to cool you down and take care of any excess sweat, but it manages to do a good job of cleaning your equipment as well. If you want to use this as a cooling towel to keep the temperature down as you play, then be sure to keep some water handy. It takes water to activate its cooling feature and by doing so offers benefits that other towels do not. Excellent at absorbing water and staying dry. 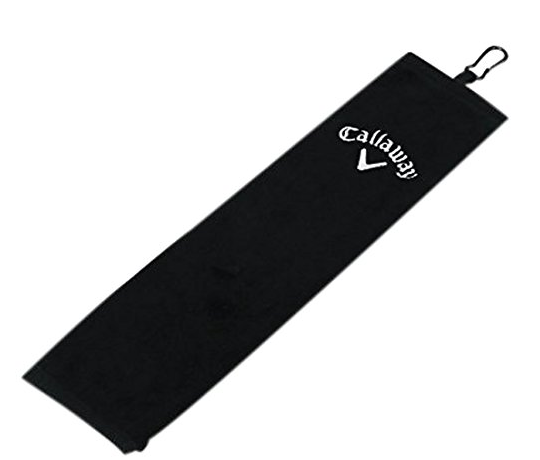 Callaway designed this microfiber towel to be incredibly absorbent and gentle on all your golfing equipment. It is made from microfiber, which basically guarantees it won’t leave behind scratch marks. That also means that it does not wash very well, and you will probably want to hand wash it to ensure it lasts a long time. This is also a very soft, plush towel that is gentle on your skin and a joy to use. Does a great job of absorbing water. Not designed to be washed in a machine. 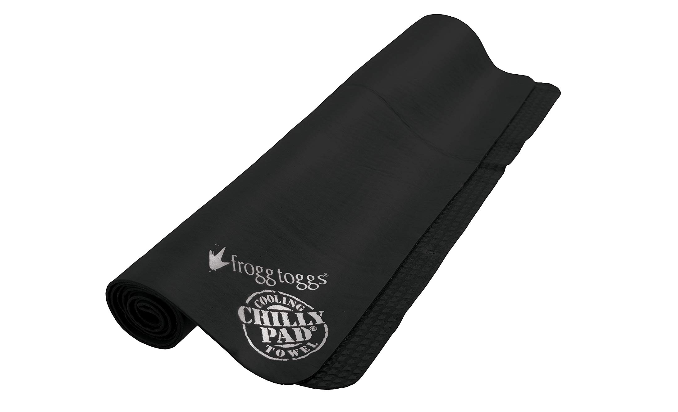 With this Frogger towel, you get a three-layered towel with a waterproof lining between the top and bottom layers. This means that you can wet one side and use the other side as dry. That’s perfect for cleaning and drying with the same towel. This feature means the towel will cost more than your average sports towel, but it could be worth it to you. You can essentially use this one towel the way you would use two towels, so it could save you money and definitely save you space. A waterproof layer in the middle means you can use this in a lot of ways. Durability- You want a towel that will last and that won’t start to lose fibers after a few uses. It should stand up to wear and tear, and you can tell how well the towel is able to do that before you buy if you read some reviews, look at the reputation of the manufacturer and examine the materials that towel is made out of. Absorption- This is one of the key aspects of any good golf towel, but com advises you to be careful about how absorbent even expensive towels are. There are a large number of golfing towels that won’t absorb water very well and that will become rather useless very quickly. Softness- You want a towel that feels gentle on your skin and that would be gentle on your equipment. Soft towels tend to be absorbent, but softness is not always an indicator of absorbency. You’ll want to compare the various factors and see how the towel is rated and reviewed in different categories. For some people, softness is more important than absorbency, depending on what they use the towel for. Read up on how the towel feels on the skin or check the materials it is made out of to determine how soft it would feel before you buy it. Size- A lot of golfers will clean off or dry off their clubs and balls at every opportunity, according to Golfweek. You probably know if you are that kind of person and if you will need to use the towel frequently or only occasionally. Make sure you are buying a towel that is large enough to be used over and over again during a single game without being absolutely covered in water or dirt. Towels That Scratch- Would you wipe down your computer screen with a rough, abrasive towel to clean it? Likewise, you should never use a rough towel to wipe down your golf club, as it could scratch your club and cause damage over time. According to com, just about every company that makes golfing equipment will offer a decent microfiber cloth towel that is gentle on your equipment and will not scratch. White Towels- You might think that the color of the towel won’t matter, but it can have an impact on how professional you look. A lot of golfers will use their towel to clean off clubs and balls when they get muddy or dirty. That can show up quite easily on a golf towel, so having a darker color will hide the dirt and make your towel look cleaner for longer. It won’t change how clean the towel is, but it does make a difference on how clean it appears to be. Paying Too Much- Modern golf towels can come with a variety of features that make them pretty useful, such as triple layers and added absorbency, but in the end, you are still getting a towel. 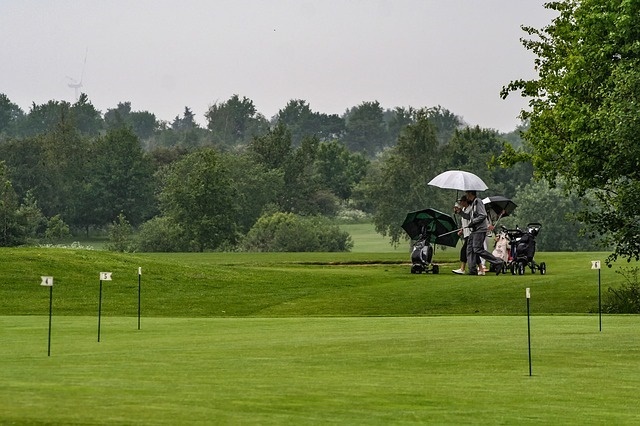 You should not be paying a lot of money for a golf towel, and you can find excellent quality ones for a reasonable price, so avoid those exuberant purchases for this piece of golfing equipment. It’s simply not worth it. Poor Cleaning Functionality- Some towels simply don’t clean very well, just smudging dirt and water around rather than removing or absorbing it. Look at the materials the towel is made from (cotton and microfiber usually work best) and avoid cheap towels that are not designed for effective cleaning. A golf towel is more useful than most people realize, and it is worth taking the time and effort to pick out a top quality one. Hopefully, our guide here will help you to do just that. Dave is the founder of wiredgolfers.com. He’s passionate about golf, cars, power tools and BJJ. When he’s not playing golf, he enjoys spending time with his wife and two sons. 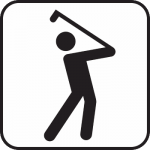 wiredgolfers.com is a participant in the Amazon Services LLC Associates Program, an affiliate advertising program designed to provide a means for sites to earn advertising fees by advertising and linking to Amazon.com. *Amazon and the Amazon logo are trademarks of Amazon.com, Inc., or its affiliates. Additionally, wiredgolfers.com participates in various other affiliate programs, and we sometimes get a commission through purchases made through our links.